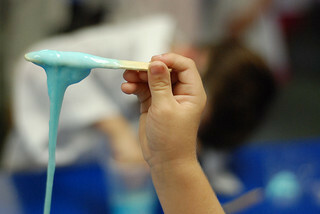 CSIRO Education is offering kids the chance to participate in a special Christmas science event. Santa Science and Little Learners Santa Science will be two exciting hands-on workshops for kids aged 5-12 years. 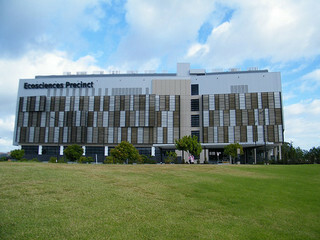 These events will be held at the Boggo Road Ecosciences Precinct from the 18th – 20th of December. Participants can expect to get their hands dirty exploring plenty of cool Christmas science. Budding chemists will get to make bath bombs, junior physicists will be detecting UV with their own bracelets, whilst meteorologists can check the weather with their humidity-detecting angels. Santa will even be leaving some snot slime to investigate. Santa Science, for 7-12 year olds, runs from 10am-2pm on the 18th and 20th of December. The cost is $40 for Double Helix Science Club members and $50 for non-members. Little Learners Santa Science, for 5-7 year olds runs from 10am-12pm on the 19th of December. The cost for this event is $20 for Double Helix Science Club members and $30 for non-members. Children under 10 must be accompanied by an adult (at no extra charge). Covered shoes are essential for all visitors to CSIRO Education. Places are limited and Double Helix events usually fill up quickly, so be sure to book early to avoid disappointment. Click here for more details about how to book. Why? Get into the Christmas spirit and keep the kids entertained while learning science. That sounds great... pity they don't run them in Perth.Well done. This is excellent. Any workshops planned for January? We looked into the Santa science workshops in early November not long after this article was first published, as I know that csiro kids events are very popular and usually book out quickly. They also have a mailing list you can join.